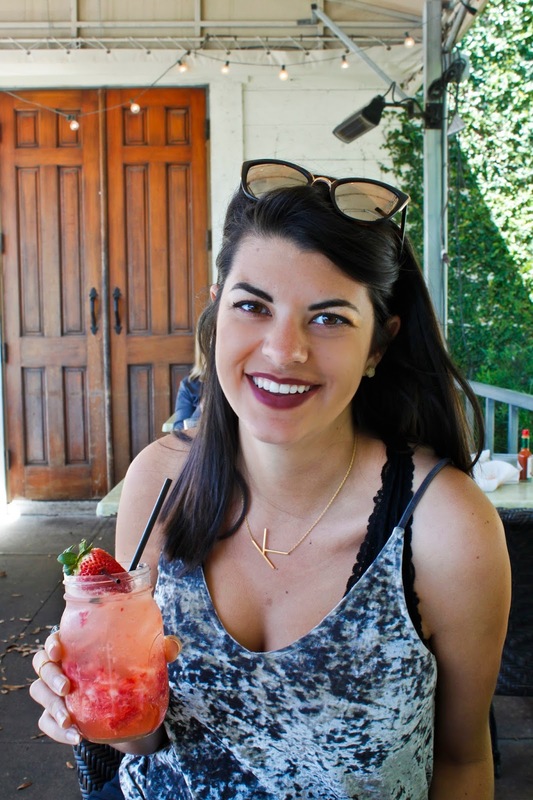 St. Petesburg, Florida is this magical city that is half beach and other half hipster. So basically the two halves of me put together. It's a great place to get some sun and then go a small craft brewery. I've been trying to monitor social media to see what all the must go places are. And by that I mean where to eat. St Pete is located right next to Tampa so it is super easy to venture between them. This does make it hard because there's so many places to pick from. So far here's all my top contenders! This was my second time visiting because I was so blown away the first time. I did get smarter this time and planned to come during Happy Hour, my favorite time of day. This goes on weekdays from 3 to 6 p.m. During my first visit I had already picked out what I was going to get during Happy Hour. So I was here today to fulfill my dream. 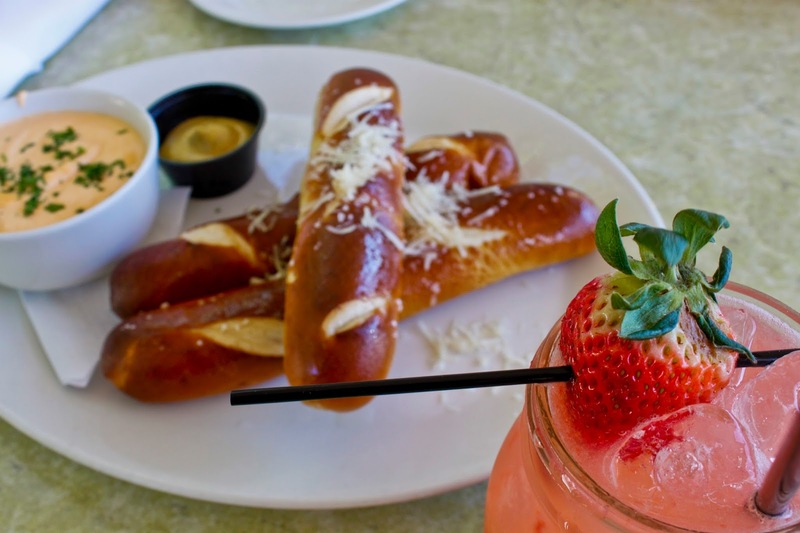 My dreams were made of a Strawberry Moscow Mule and Nom Noms. Nom Noms are warm, soft pretzel sticks dressed with garlic oil, herbs and parmesan. Served with PBR-Buffalo beer cheese and spicy mustard. Everything was to die for. I have never had Buffalo Beer Cheese dip but I wanted to take home a gallon with me. 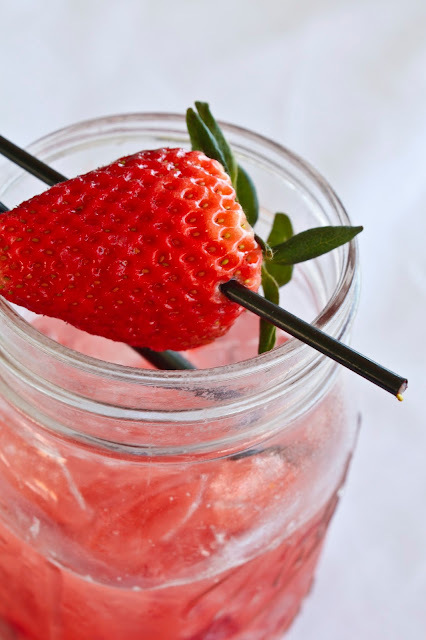 Strawberry Moscow Mule: 360 Vodka, fresh Florida Strawberries, lime, local Tidal Boar Ginger Beer. It was served in a mason jar garnished with a fresh strawberry. The mule was the perfect vodka to ginger beer ratio. There was also fresh strawberries muddled in the glass, which I had fun fishing out and eating after the drink was gone. 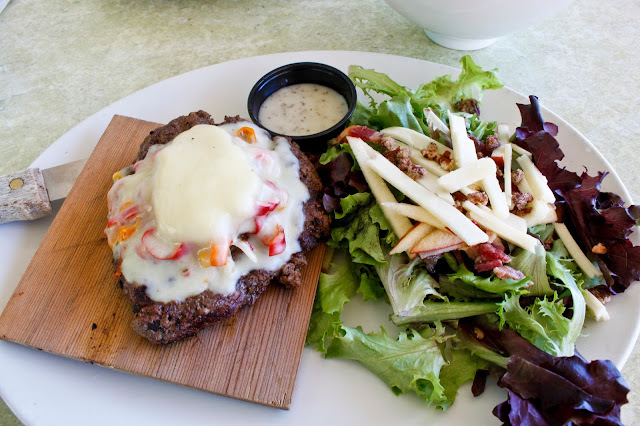 Cedar Plank Shimburger: 100% fresh ground chuck on a cedar plank topped with white cheddar cheese and roasted red peppers. This burger was everything! The burger itself was such high quality and cooked to perfection. My topping choices pared with it so well. Plus my personal preference, no bun! It was served with their house salad of green topped with apples and candied pecans. 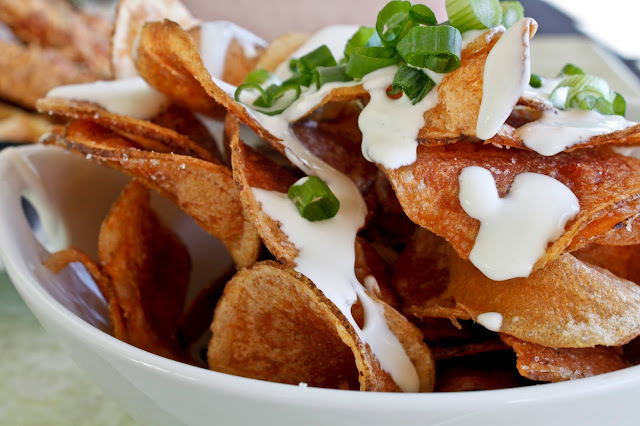 They also were so kind to add in some of their to die for homemade chip. Datz was amazing and I will come back again and again. Hopefully next time for brunch. They have a Crème Brûlée French Toast, need I say more? Dough is the bake shop conveniently located right next to Datz. So it's impossible to not pick up something to go on your way out. 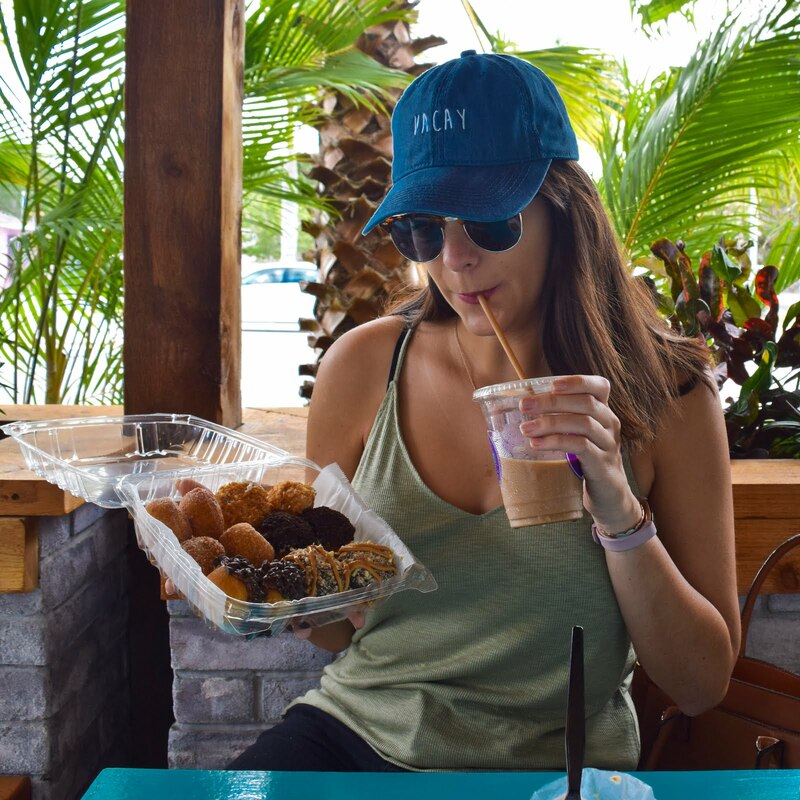 They have everything from doughnuts to macaroons to homemade ice cream. I'm happy to say on this trip I tried each of those! While there they had free samples of ice cream. I've never been someone to say no to a free samples. I decided to try their carrot cake ice cream. It was life changing. I have no idea how they packed all that true cake flavor into ice cream but it had it all! For macaroons I picked up a pistachio one. Now I've never been one of those macaroon crazed people but I'm starting to like them more and more. I had one at Epcot's Flower and Gardens that was delish and that started to open my eyes again. So I wanted to live on the wild side and got one here. It was wonderful! Last off the doughnuts! We got three, Fruity Pebbles, Boston Creme, and Chocolate Peanut Butter. Fruity Pebbles and Boston Creme were both for me, because I have no self control. 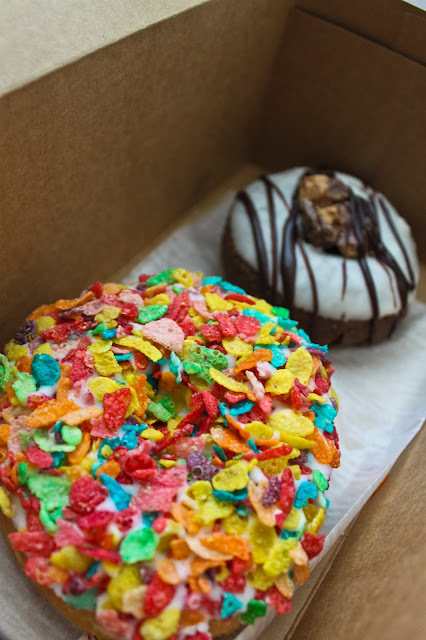 They were both good, but Boston Creme definitely out shined the Fruity Pebbles. I cannot wait to go back and try different ones! 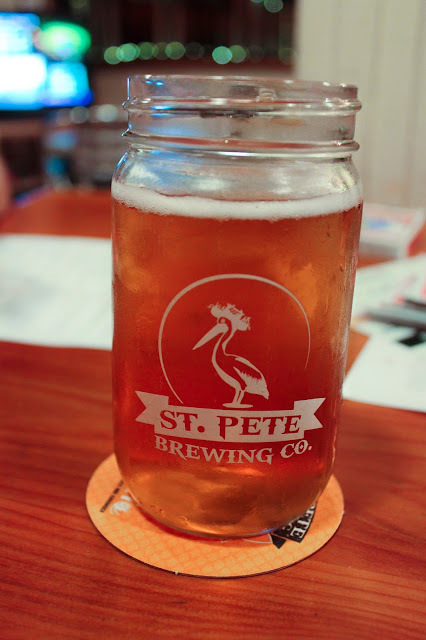 I have never made a trip to St Pete that didn't involve me going to The Hyppo at least once. 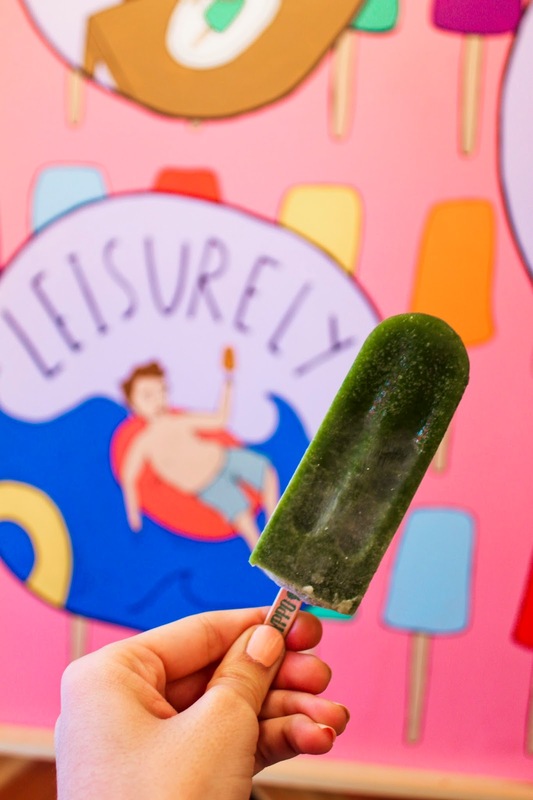 It is a gourmet ice pop shop that carries over 40 options everyday ranging from Horchata to Champagne Mango. I have not tried a pop I didn't like. Every time I visit I make sure to mention at least four times that they should option a location in Orlando. *fingers crossed* I even have a loyalty card and I'm almost at a free pop. This trip I tried kale apple cucumber. It was so refreshing. Out of all the ones I've had my top contenders are still pistachio coconut and grapefruit. Jumped over to Cigar City after all that eating to do a quick beer flight. 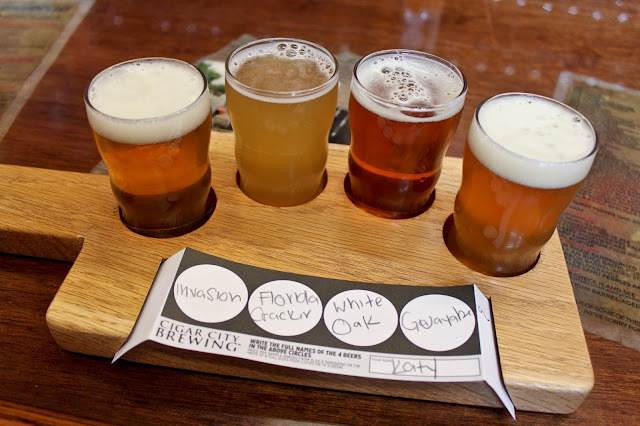 I had been to Cigar City before to do a tasting and tour, which was super fun and would do again. They walk you through the whole brewery to see the whole process of the beer being made. In each room they have a keg on tap for you to try a different beer! My two favorite beers they make are Invasion and Florida Cracker. Lucky for me my Target carries both! This was a fun place located right in downtown St Pete. They have about 12 beers on tap, some snack food options and games! Got a beer and a beer flight while playing UNO. I also had to buy one of these glasses to take home because it's just so darn cute. A bird, wearing a hat, on a mason jar? Of Course. Isn't the best part of sporting events drinking? No? Just me? Whatever. 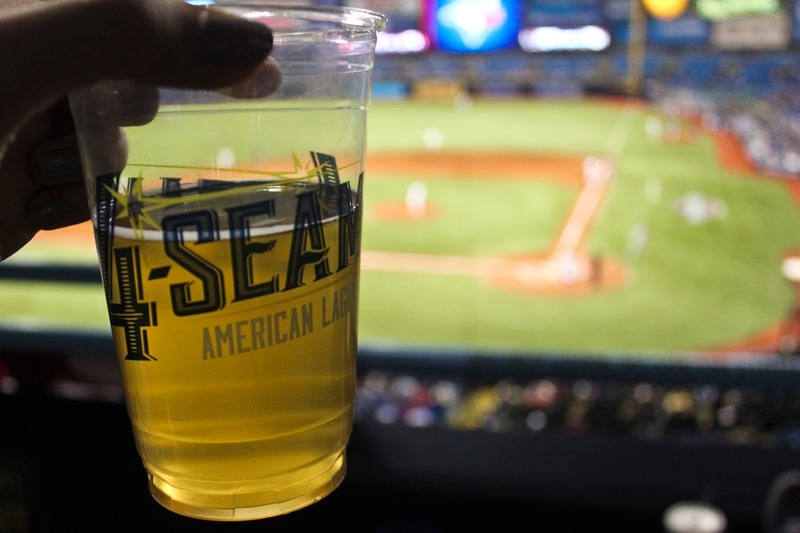 Last year I would love to go to Rays games just to get Green Bench's in field only 2-Seam Ale, which was a blonde ale they had just for that year. This year they came out with the 4-Seam Ale, which is an american lager. 2-Seam is still the home run in my eyes, but 4-Seam is good too! Definitely had a couple of those during the game. All and all quite the delicious trip. My list of places is still growing. I can't wait to go back for more happy hours and popsicle. 3 comments on "Eating St. Pete/Tampa"